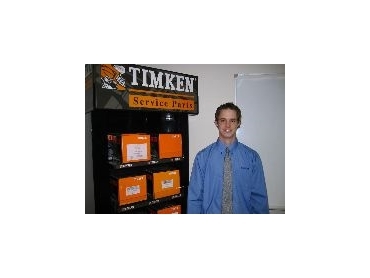 Timken’s new sales rep, Nathan Little. DIVERSIFIED automotive aftermarket supplier, Australian Timken , has appointed Nathan Little, 21, as Automotive Technical Sales Representative, Queensland and NT. Nathan will be responsible for maintaining distributor and customer relations and sales across the four key automotive brands including Timken bearings, Permatex, Bardahl and NOS products. Nathan joins the group after several years in customer service and business management with Millers Self Storage in Brisbane. "My previous role was selling space. Now I will be filling it!" he said. For the second year running Australian Timken has taken out first prize in the global sales awards presented by Permatex International and has also recently moved to strengthen its relationship with Bardahl and its range of automotive fuel additives, oil additives and performance-improvement products. Another rapidly growing division is the range of Timken Service Parts kits for cars, 4X4s, light commercials and trailers. "As we look for further growth in the Australian automotive aftermarket, we welcome Nathan as a new and enthusiastic member of our Queensland-based sales team,” said General Manager Sales and Marketing, Peter Storey.